We install to residential, commercial and institutional buildings. 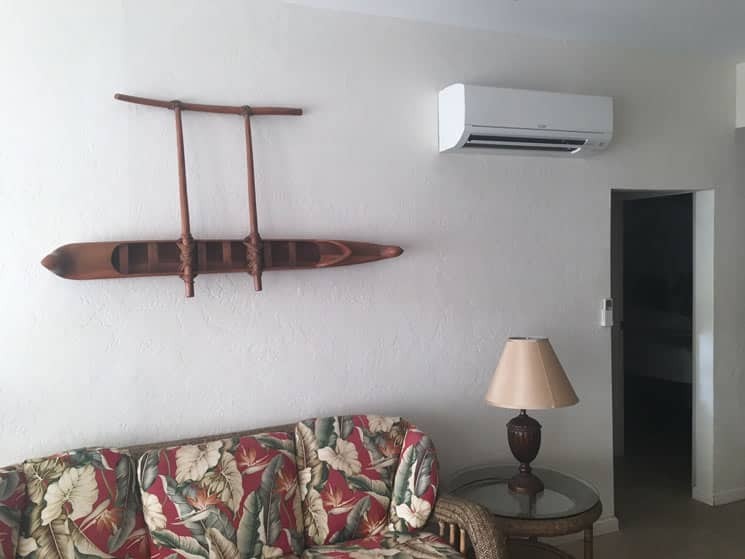 Ductless split systems are your best option if you need a high flexible solution to your air conditioning needs. Composed of a small outdoor compressor/condenser unit and a mountable indoor handling unit, this system allows delivery of air to your individual zones. Are you a homeowner who doesn’t want to cool the unoccupied rooms? Zone your individual rooms now. We provide each zone a thermostat so that space will only be conditioned when needed. Therefore, you save energy and you save money. The individuality feature of Ductless Split System makes for an energy efficient and customizable experience. At Certified Air Maui we create solutions to suit your individual requirements. Regular service activities include area inspection, cleaning of Ductless Split Systems, maintenance, and of course, repairs.